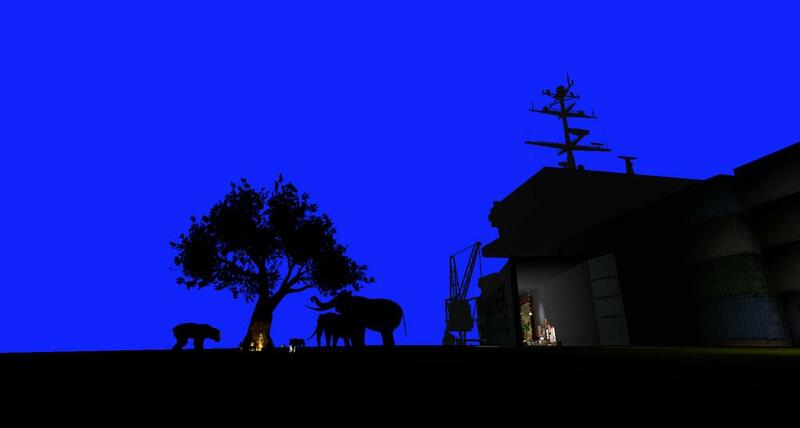 From the composer of Proteus and Panoramical, comes a dog opera in 5 acts. Oἶκοςpiel translates to house-play. An adaptation of the Oἶκοςpielen Opera's internal history of the years in which they were tasked with designing a debt-forgiving climate-cooling diegetic Grand Geospiel event for the year 2100, a Carnival of operas spanning the globe, home at the north pole Pool, as programmed by Koch Games, a startup of plugged in dogs, whose noses are computed as intuitions and translated into musico-potential forms. In order to generate funds for the cycle of operas commemorating the economic biolosses of the world animal community, the chief donor of this Opera company, Donkey Koch, the inventor of the Geospiel, has conspired with other members of his family to assasinate a bear named for Orpheus and drain the calming funds of the Animal Union by encouraging unioneers to pay for mourners to show at his funeral, only to find that the mourners were infringing IP, that the bill increased 100-fold. The lead Salt Eurydice is in debt, but it's only 1996, the future's a long way off, and group unity is difficult to find. Now, DK offering to Eurydice a new job and Assistant in the Name of Pluto, a union busting German Shepherd who has on offer a yellow union or company guild, and has a reaction to make, a new relation of Work and Heat, relating money and color CPU temp in a musical realm of congealed labor from thousands of faces and scents imagined as a new economy, digestive ecosystem, & unionized multiplicity.